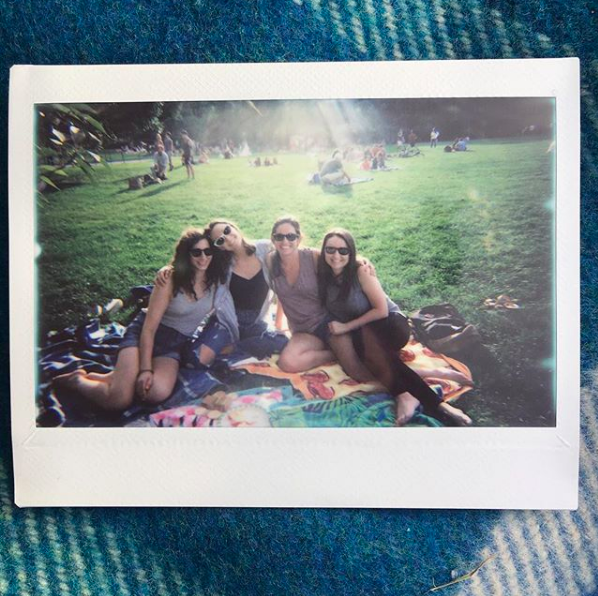 By making food for each other, my friends and I also make time for each other. Being in my late twenties means that most group hangouts with my closest four friends are coordinated weeks or months in advance with the help of emails or, when things get really dire, Doodles. This is more of a practical reality than a sad one — we all have jobs and hobbies and some have relationships and pets, so group texts a few hours or days before just don't really cut it. Being purposeful about get-togethers just means that we're guaranteeing we will see each other, and that there will be cheese, goddamnit. After all, wanting to spend time together is very different from actually doing it, and a lot of the time, it's difficult to unless we have a specific reason. 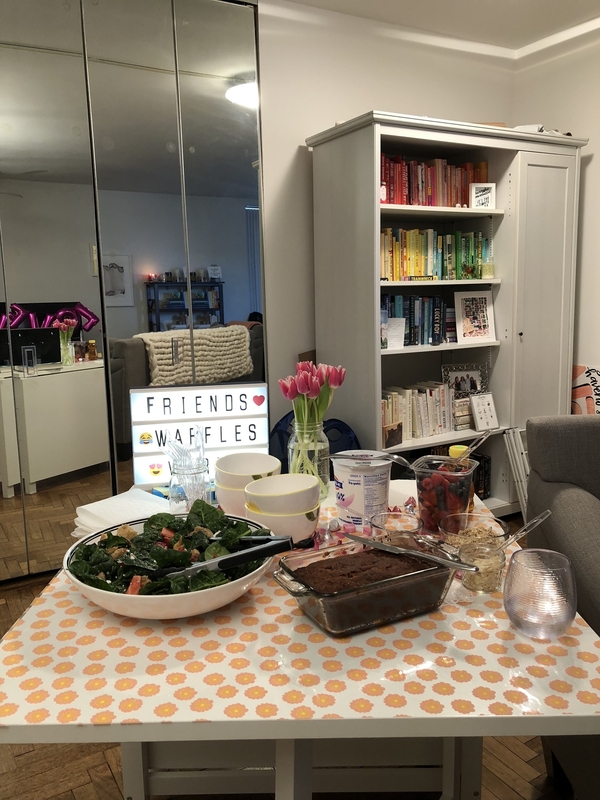 After a half-baked attempt at a book club, and many highly enjoyable and delicious potlucks, we figured out the perfect way to guarantee we'd see each other more often: A monthly recipe club. Full credit for this goes to my friend Maura, who was inspired by her mom and her coworkers' regular out-of-office hangouts over food. The other four of us immediately responded with enthusiasm, and I could just tell right away it was going to stick. And so far, it has! The key to our success is the simplicity of the rules. Basically, it operates like a book club; we decide on a key ingredient each month, and everyone brings a small dish to fit the theme. We switch off hosting every time, and try to plan it so that it's a weekend brunch, and voilà! 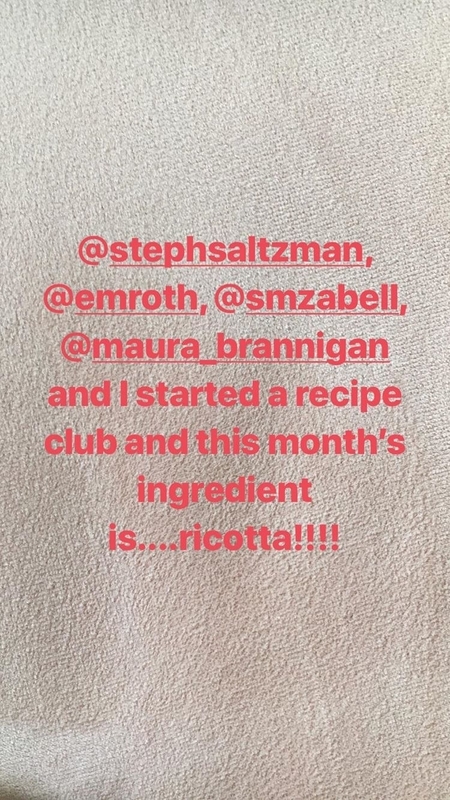 A recipe club is born. The first month, the ingredient was ricotta cheese (another idea of Maura's), which was, quite frankly, perfect, thanks to ricotta's ability to be either sweet or savory. 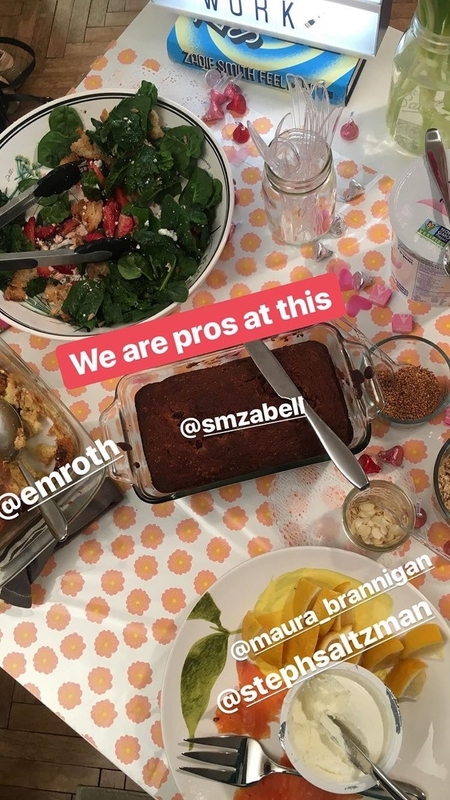 Among the five of us, we made a salad, a cannoli dip, a savory garlicky dip, cheesy scrambled eggs, blintzes, and a raspberry ricotta cake. We were mindful of having a good balance of appetizers, main dishes, and desserts, and I brought some extra Lactaid pills, just for good measure. I think of it as our own personal Great British Bake Off: We all support each other, try to make something yummy, and at the end of it all, we're all stars. I'm not saying we're as pure as everyone on GBBO, but we do help each other out when we have cooking fails like everyone on that show does. And just like my favorite baking show, the recipe club inspires me to cook and bake more often. We always send around the recipes we made once we get home, and as someone with limited cooking skills (and kitchen space), I'm always much more willing to try a recipe if I've already eaten it and have been told what it was like to make it. We've implemented some measures to ensure that we will, in fact, make it happen again the next month, too. We don't have a designated recipe club secretary because we're all the kind of people who live for follow-up emails and putting a date on the calendar. But we spend the last few minutes of our meetup picking a day for the next one. Sure, we could figure it out over email, but doing it in person — and all of us putting the date in our calendars at the same time — makes it all much more ironclad and official. But the rules are also flexible, which is crucial for continued success. 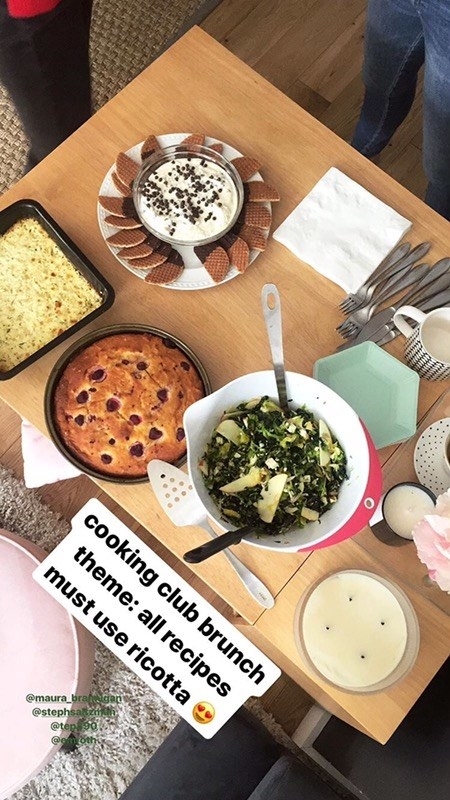 Inspired by me and my friends, a coworker recently started a recipe club of her own, but, instead of picking an ingredient each time, they choose a theme. Last month's theme? Global dishes, inspired by the Olympics! My group, too, has bent the "rules." March proved to be a tricky month for scheduling, thanks to holidays and travel. 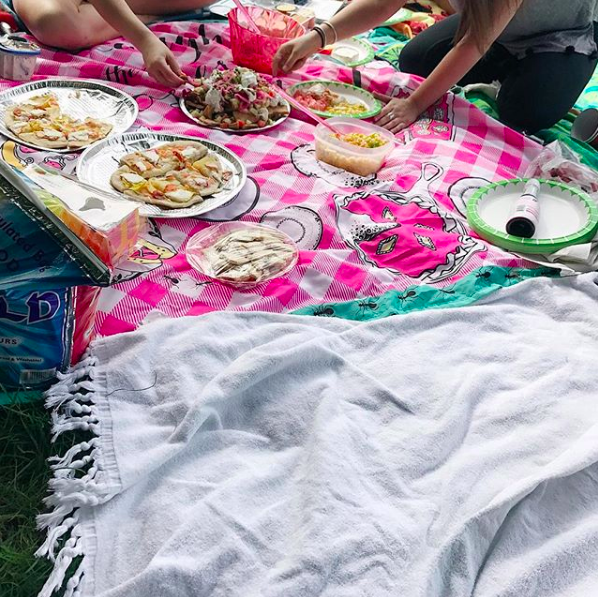 So instead of cooking and meeting up on a weekend like we've done in the past, we're bringing in food from our favorite takeout places after work on a Thursday so we can de-stress, eat, and put in some much-needed face time. The food is all fun and good, but as you probably guessed, it's the ~quality time~ that we spend together that really makes it special. Most times, we end up just hanging out at someone's apartment for hours after all of the eating and cleaning up is done, because we've already mentally reserved most or all of the day for each other. Doing that was never part of the expectation (and if someone needs to leave early, we don't, like, blockade the door), but it reveals our true reason for doing all of this: Intentionally making time and space in our lives for relationships we spent so many years cultivating. A recipe club, rather than a book club or something like that, works great for us. None of us are master chefs, but pouring our hearts into making something delicious happens to be all of our love languages. Even when one of us is having a rough week or month and can only muster the energy to bring a container of pre-cut berries, we accept it for what it symbolizes — a commitment to showing up for each other. And that, to me, is pretty darn sweet.